For some they bring terror. For others only fascination and wonder. No matter who you are, chances are when you think of the ocean, you also think about sharks. That’s why shark crafts are always popular during the summer. 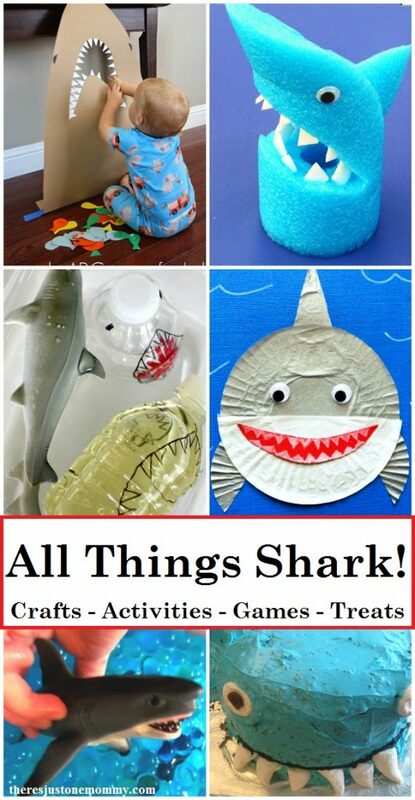 Whether you’re looking for kids activities for Shark Week in July, some fun shark party games, or just summer activities for kids, this ultimate collection of shark crafts and shark activities is the place to start. Toddlers and preschoolers will have fun making their own sharks to play with. Older kids can show off their creativity with projects perfect for them. No matter what age you are looking for, there is a shark craft for everyone. Summertime is the perfect time for mixing fun with learning. These activities are guaranteed to get the kids excited. Planning to watch some awesome shark videos? Make one of these fun treats to munch on while you learn about these creatures from the deep. 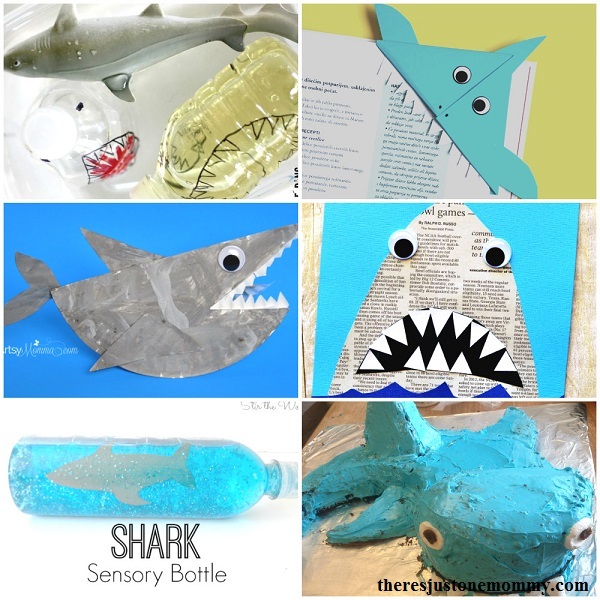 These shark crafts and shark activities are perfect for Shark Week or anytime. Thank you for including our Squishy Shark Sensory Bag! This is a great list of resources and ideas for Shark Week or for a unit study on sharks. LOVE this collection of ideas! Will pin now!